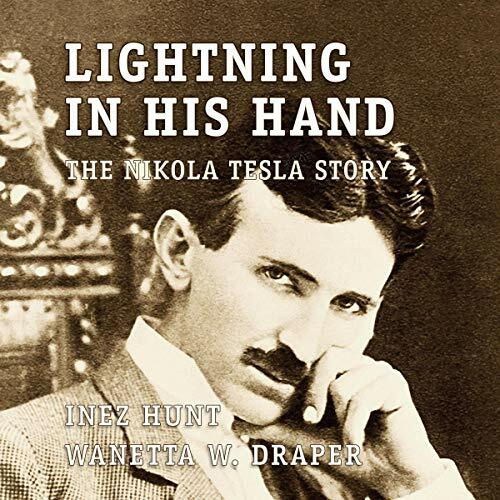 Lightning in His Hand is a complete biography of Tesla's life, from his birth in Croatia in 1856 to his death in New York in 1943, with a special focus on Tesla’s experiments in Colorado. After an auspicious early life in Europe, Tesla came to America and worked for a time with Thomas Edison, but their paths diverged after Edison failed to pay Tesla the $50,000 he owed him. Stunned at this infidelity, Tesla joined with Edison's rival, George Westinghouse, in the "battle of the currents", pitting Edison and his advocacy of direct current against the alternating current he proposed with Westinghouse. The winner (Tesla) determined which type of electricity powered the majority of America. Well before Tesla came to Colorado Springs, this battle was waged on one important front in Colorado. Westinghouse, using Tesla's patents, built an alternating current plant to provide power to Telluride's Gold King Mine in 1891. It was an early victory for alternating current, and by association, Tesla's genius. Tesla's fame grew over the next decade, and by the end of the century, he desired a lab of his own in which to conduct more advanced electrical experiments. The results of much of his research were spirited away after his death by elements of the US government and are rumored to have been used - in secret - to develop high-tech antigravity vehicles and other modern marvels.